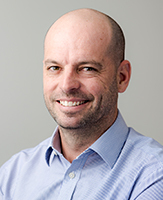 Dr Martin McNamara is Head of Research Assets at the Sax Institute, where he oversees valuable research programs including the 45 and Up Study, the Study of Environment on Aboriginal Resilience and Child Health (SEARCH), and the Secure Unified Research Environment (SURE). He has extensive experience in senior leadership roles responsible for strategy and performance within health organisations at local, state and Commonwealth levels. With a PhD in Public Health, Dr McNamara has previously worked in roles including Executive Director at the National Health Performance Authority, and Executive Director, Justice Health and Forensic Mental Health Network. What proportion of dementia is preventable in the Australian population? As a teenager, Dr Martin McNamara played a lot of rugby and basketball. He became fascinated by how his teammates responded to intense physical effort and their path to recovery when they were injured in a game. It sparked his early passion to become a doctor. Instead of medicine, he took a Masters and then a PhD in Public Health. Since then, he’s immersed himself in a career focused on health policy and research in Commonwealth and state government organisations, and the non-government sector. His roles have included Executive Director at the National Health Performance Authority, which monitored public and private hospitals and other healthcare organisations, and Executive Director at Justice Health in NSW. Dr McNamara moved to the Sax Institute at the end of 2016. As Head of Research Assets, he’s responsible for a variety of large research programs that help numerous researchers and decision-makers answer key policy questions. “The Sax has managed to surround itself with some of the smartest, most capable people of a generation. It’s got a real power to influence some of these key decisions and that’s why I was keen to be a part of it,” he says. At the Prevention Centre, Dr McNamara is involved in research using the 45 and up study cohort to understand how best to prevent dementia. “What attracted me most about working with the Prevention Centre is the incredible care and attention they give to constructing a systems-based approach to prevention,” he says. He’s excited by the involvement of stakeholders throughout the research process; through reference and advisory groups and followed by a series of roundtable discussions about their findings and what action should be taken. 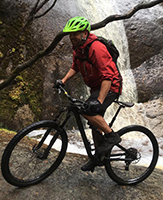 When Dr McNamara is not hard at work, he’s out catching waves on his surfboard, hitting the ski slopes in winter or the mountain bike trails at other times, looking for adventure.